Flag Day commemorates the adoption of the United States flag on June 14, 1777. 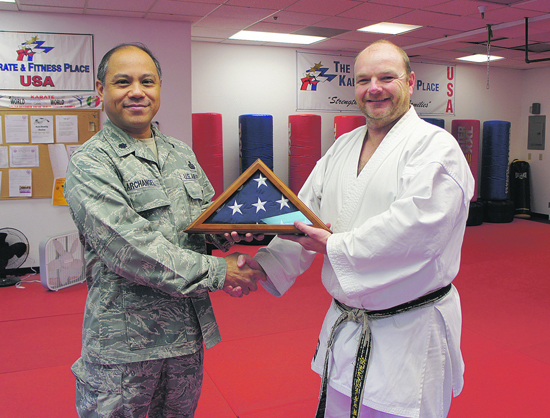 For Al Archangel, June 14 has a special significance; it reminds him of July 4, 2011 when, as a reserve Lieutenant Colonel deployed for six months in Afghanistan as a mission commander, he flew an American flag during combat operations in honor of his karate ‘sensei’ and friend, Tom Westernoff. “I wanted to honor Tom because he is such a great role model and has brought so much into my life as well as the lives of many others,” said Archangel, who presented the flag to Westernoff this spring. Being an Air Force Reservist, Archangel trains with his unit every month and could be called upon to serve if needed. But the monthly commitment was not enough for him. “I wanted to serve again in active duty,” he said. So he signed up for six months in Afghanistan. One of these privileges was the opportunity to fly an American flag on an actual mission in honor of someone. “I went to Tom’s karate dojo out of curiosity,” said Archangel. “I learned a great deal there and love the values and practices that are taught to adults and children alike.” Archangel said the discipline and rigors that characterize the martial arts coincide with his philosophy of life and honor. For Westernoff, it was a great honor to receive such a meaningful gift. “I will hang it in the front of the dojo so that we always remember,” he said. 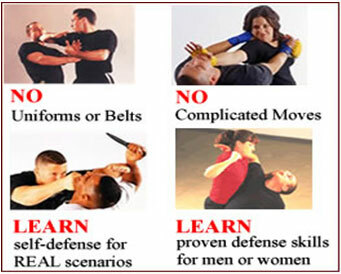 He too believes that the hard work and dedication of all service men (and women) mirror the principles of karate-do. He encourages everyone to stop by The Karate & Fitness Place karate dojo in the Moraga Shopping Center to check out the framed American flag.